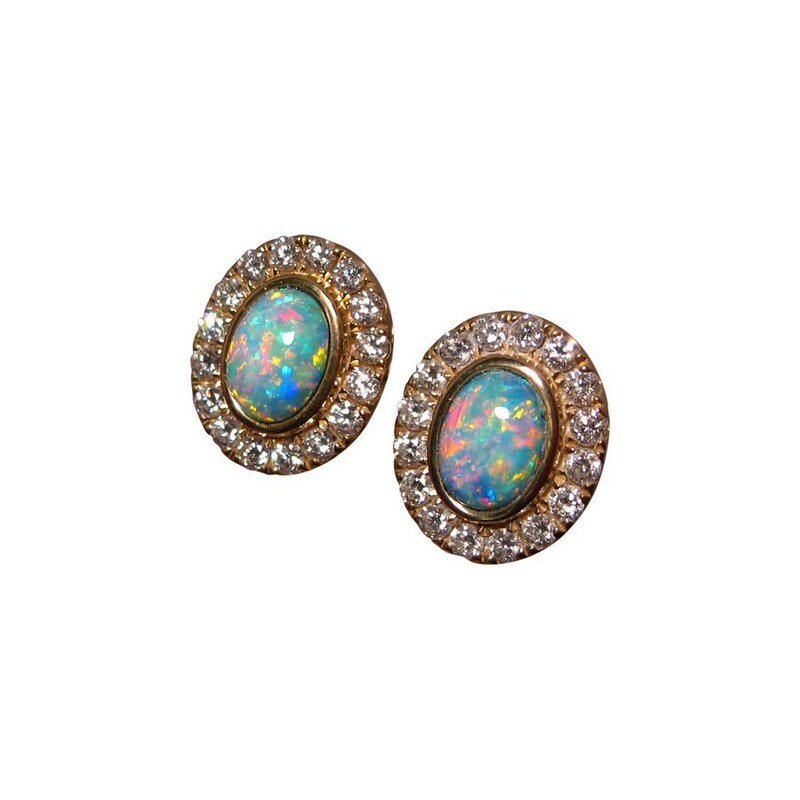 Gorgeous Opal and Diamond Stud earrings! 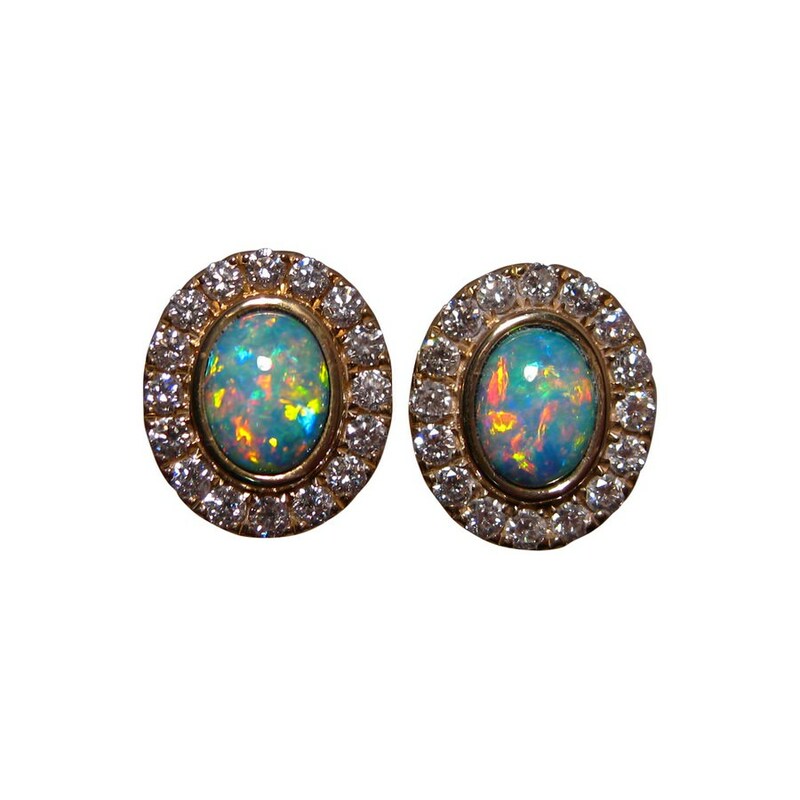 Oval Red and Blue Coober Pedy Opals accented with 2 mm diamonds in 14k Gold. 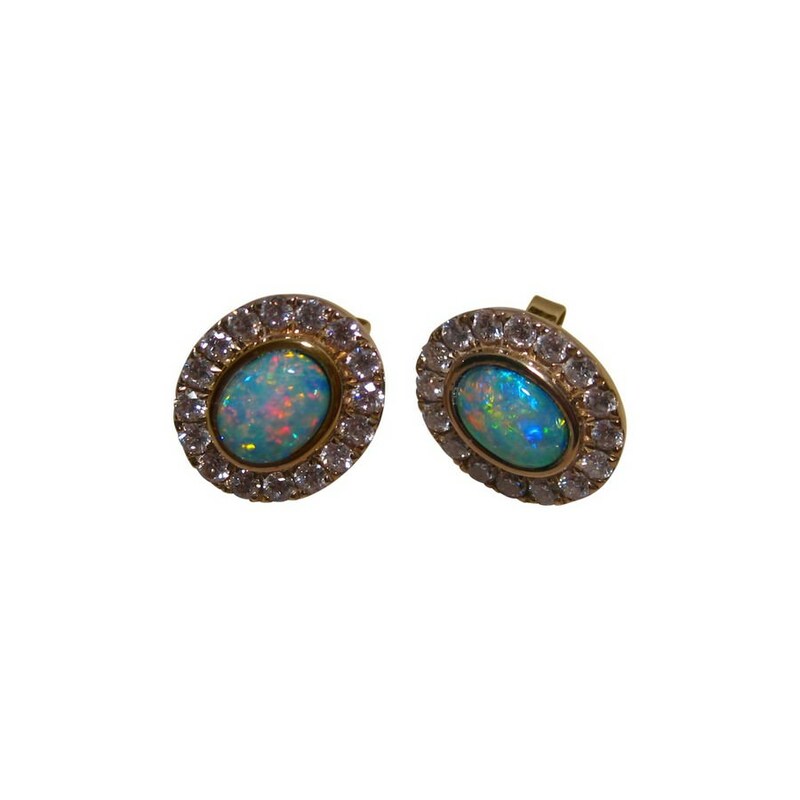 These Opal and Diamond earrings ooze quality and elegance. 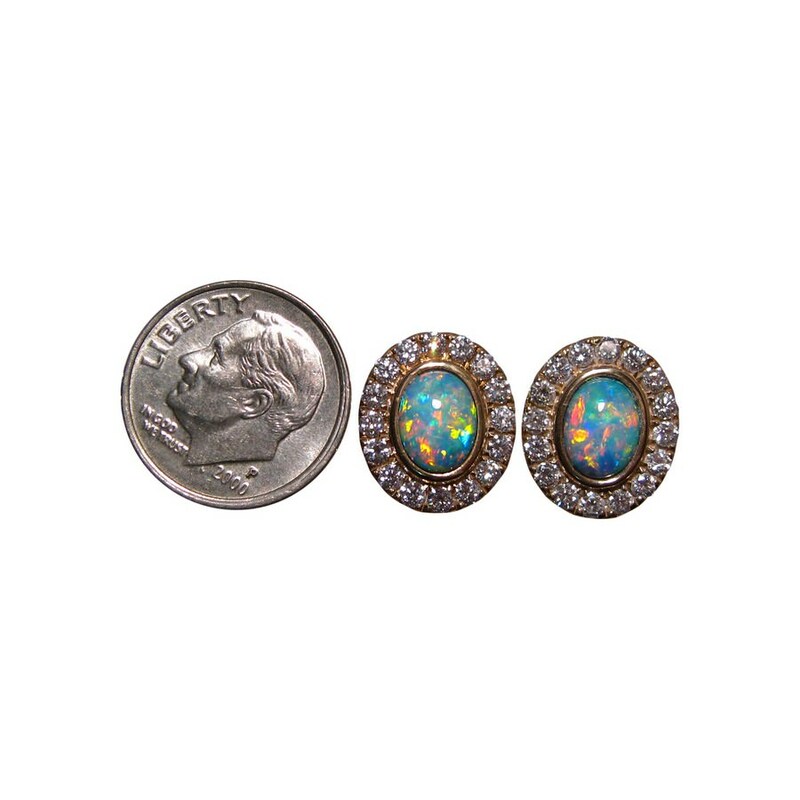 Two Gem Grade Coober Pedy Crystal Opals are set in 14k Gold and are surrounded by a halo of quality 2 mm bright white Diamonds adding size and sparkle and the video below will display the play of color in the Opals and the dazzling Diamonds. 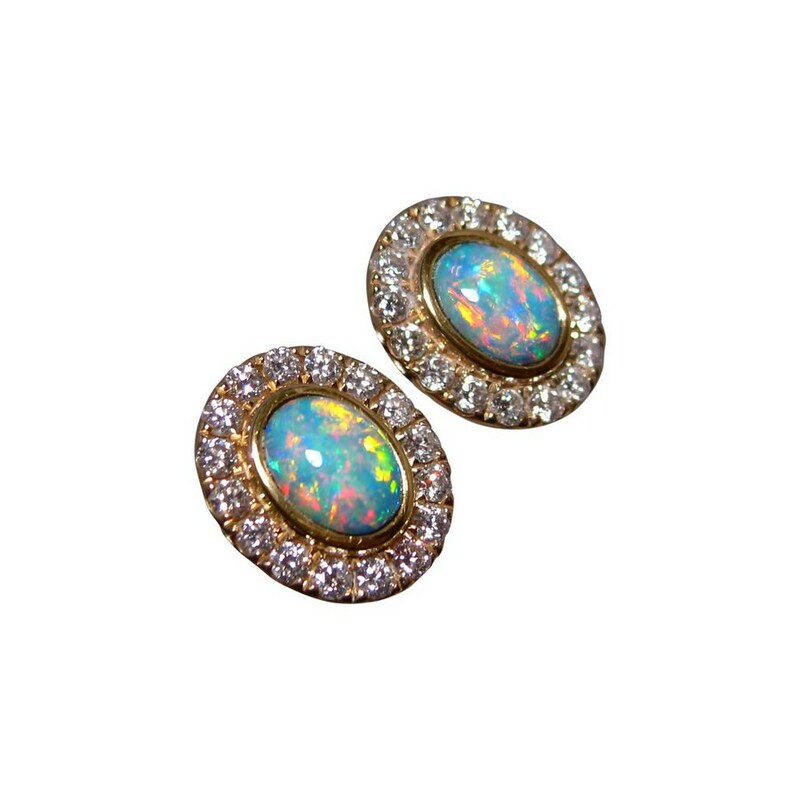 A stunning pair of Opal earrings that have been sold however if you would like a pair Made to Order contact through this product to inquire on availability and time frame.